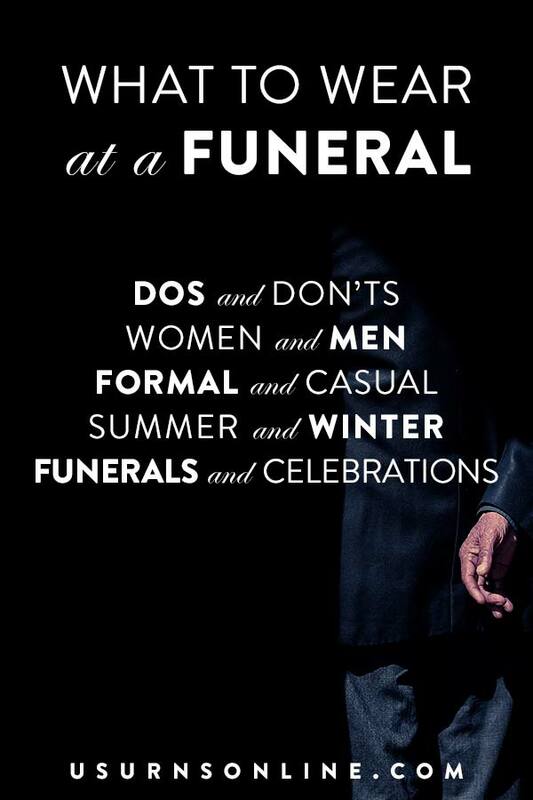 Candles are a great addition to memorial services, reception table centerpieces, or home memorial displays. 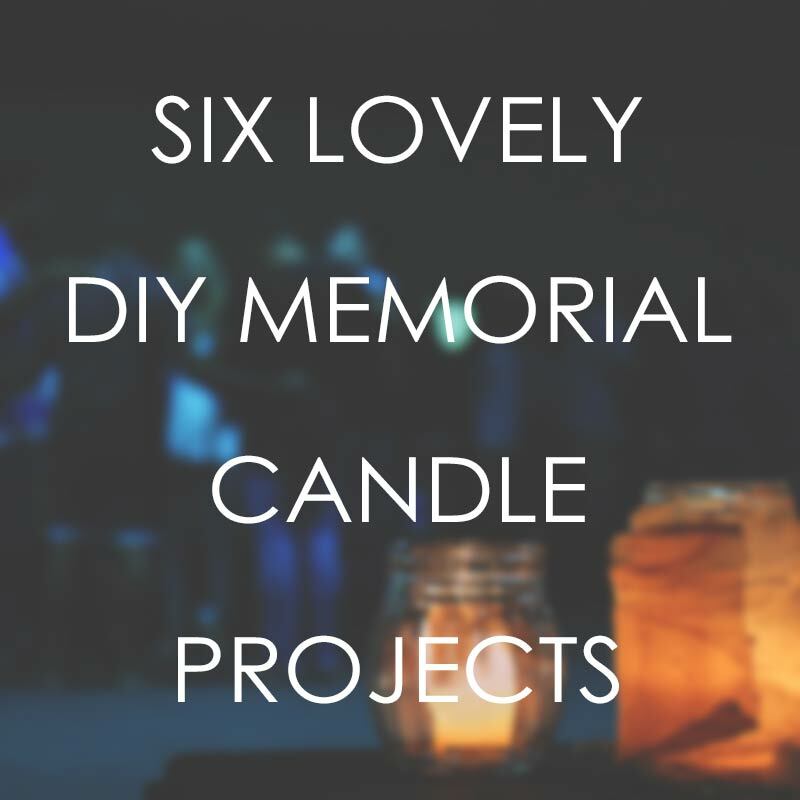 For the crafty do-it-yourself-er, here are 6 lovely DIY memorial candle projects that you can pull off quickly and easily at a minimal cost. 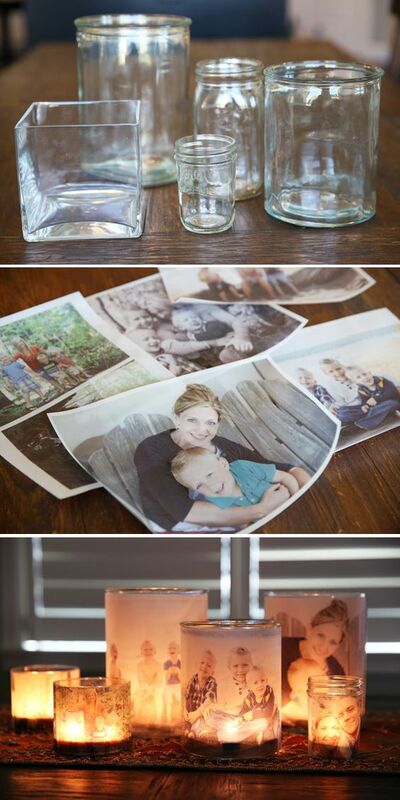 These glowing photo candles add a lovely, ethereal touch. 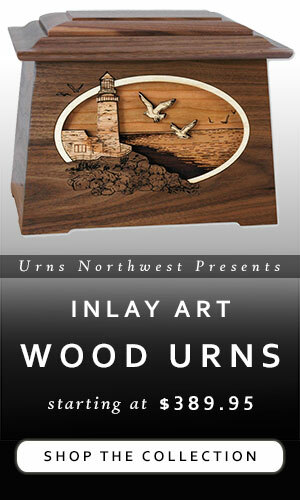 Use them at the memorial service, on the reception tables as centerpieces, or in a special place in your home. These floating candles are super-easy and affordable, especially if you use glasses you already own. And what an aroma!! 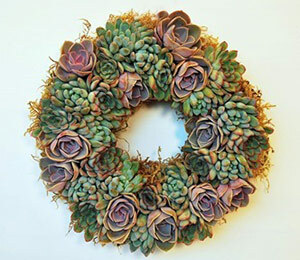 These work great to honor someone who really loved Christmas, for a memorial around the holidays, or to evoke a sense of warmth and celebration. Few things provide a more comforting aroma than coffee. 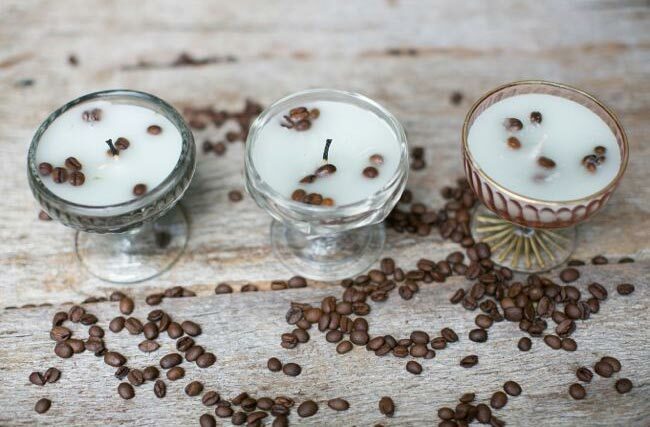 Try this simple tutorial to make your own homemade coffe-scented candles. 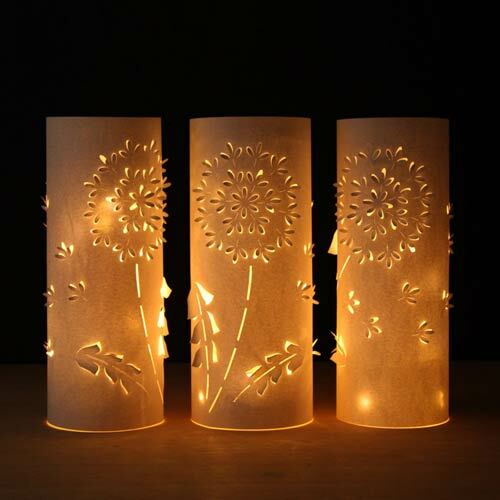 Paper lanterns provide a personal yet otherworldly effect. Here is the guide to make your own. 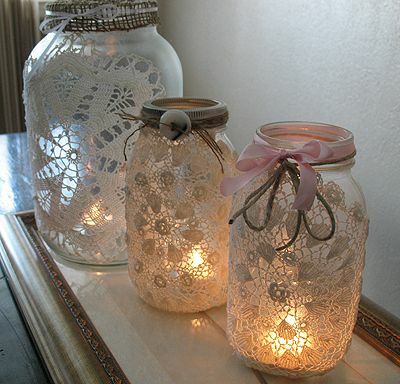 A touch of old-fashioned antique beauty comes from the winning combination of mason jars and doilies. 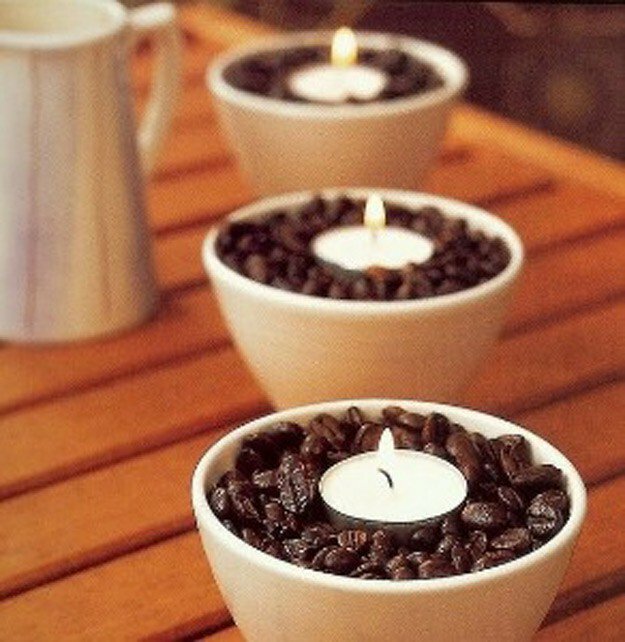 Inspired by Cre8tive Home Decoration, these wonderful-smelling candles are incredibly easy and will bring to mind your loved one who was a coffee connoisseur. 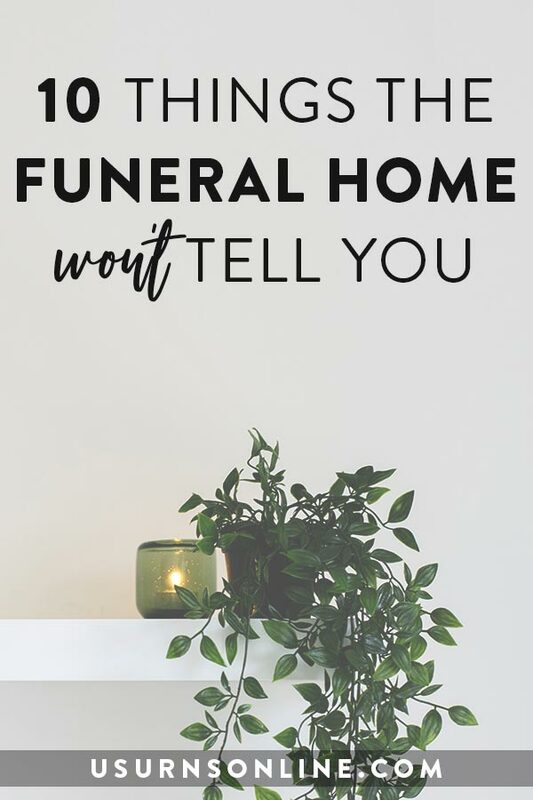 More DIY Memorial Candle Tutorials? 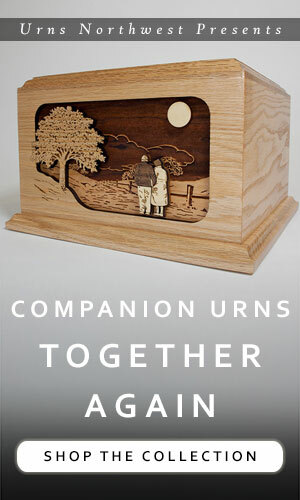 Do you know of a great DIY memorial candle idea? 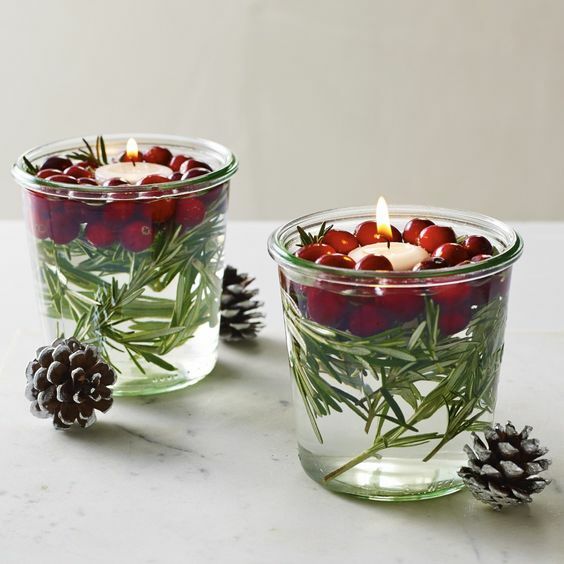 Share links or instructions to your favorite candle ideas in the comments below!